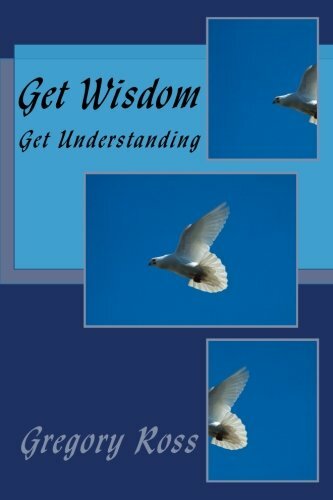 Recently, first-time author Gregory L Ross published his book Get Wisdom: Get Understanding through Amazon. I had the privilege of doing the editing of this book prior to its publication. And now I have the privilege of reviewing it. When I edited this book at the commission of the author, I did not contribute to or critique the content, I merely did the leg-work of formatting and cleaning up any mistakes in the texts. The possible exception was that I cleaned up the meter on a few of the poems scattered throughout the book. Ross is a first-time author, and like many a first time author, he's a little self-aware about his voice in the story. This is especially manifest through his frequent use of poetry in the story. Ross is the victim of his own bad choices in life - as he makes evident in the book - and the wealth of poetry in contains is, no doubt, the heart-cry of a man who has suffered; as suffering frequently compels poetry. The book is essentially an outline of the Christian belief system from a distinctly evangelical perspective. No doubt owing to his southern roots, Ross' voice is reminiscent of a classic evangelist extolling the hard-won wisdom he has gained through a life of bad choices - and how these choices have led him to the doorstep of Christ. Ross manages to do this with only the occasional autobiographical detail, largely focussing on the basics of Christian doctrine, and the importance that each holds for the believer. The book might serve the faithful Christian as a sort of meditation on fundamentals, as the author's passion for these clearly shines through the text. Ross seems to be writing, however, to the person unaware of the fundamentals, benefits and necessity of Christian faith: in other words, to the unbeliever who is desperately in need of the peace and healing that Christian faith brings. As a resource, it is probably best placed into the hands of a person who has hit rock bottom and is thrashing about to cling to anything that might offer hope in a hopeless life. This is clearly the person to which Ross is speaking - probably to his younger self at his point of self-destruction. The book serves its purpose to this end. There is nothing in here that might convince the skeptic, but it's sufficient to illuminate the unillumend.